Teaser Trailer Breakthrough! Story Line of the Game Exposed?! Wizards and Witches! Thanks to two incredible YouTubers, Pocemon and PokeFodderYT, we may have done our first breakthrough in the analysis of the recent teaser trailer for Wizards Unite! While the findings we are about to present may be figments of our imagination, they could also very possibly hint to a potential story line for the very anticipated game! We have a few discoveries to share with you, but before we present them, we must explain what the potential story line of this game could be! Based on our findings, as well as our impression of this teaser, we believe that the goal of the game will be for players (wizards and witches) to protect the Wizarding World from being exposed to Muggles by dark and mysterious forces! Wizards and Witches would act as members of the Statute of Secrecy Task Force in order to bring down the forces working against the Wizarding World! 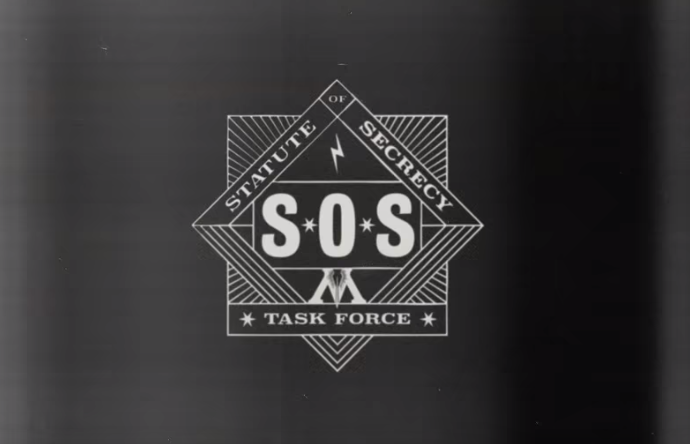 In the very first seconds of the teaser, one can quickly get a glimpse of what actually is the logo of the Statute of Secrecy Task Force (SOS). If you’re unfamiliar with the Harry Potter world, let us clarify how this is useful. 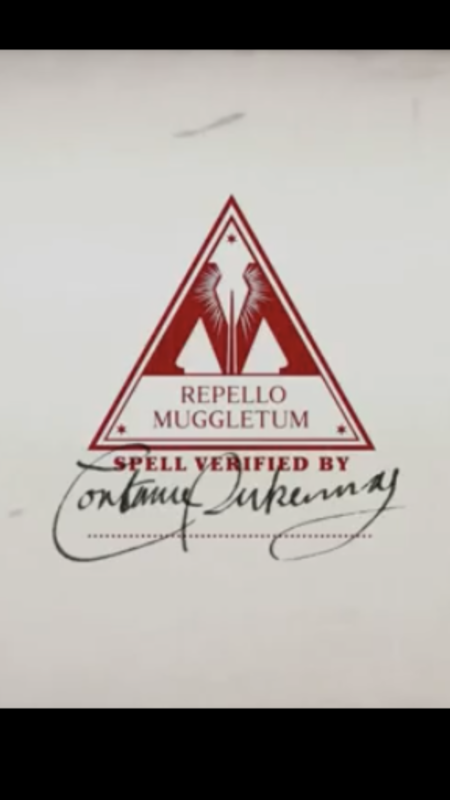 The International Statute of Wizarding Secrecy (also known as the International Code of Wizarding Secrecy or the International Statute of Secrecy), basically is a law laid down to safeguard the wizarding community from Muggles and hide its presence from the world at large (Source: Harry Potter Wiki and The Harry Potter Lexicon). The mere fact that this symbol is being shown for less than a second, which is clearly meant to tease us, in the teaser got us intrigued and we believe that the definition of the SOS supports our theory. On the trash can, even though somewhat difficult to decipher, four letters appear. While we have a theory as to what F D could refer, we are not convinced it actually refers to it, the Fidelius Charm. The Fidelius Charms is “used to conceal a secret inside an individual’s soul; the witch or wizard who houses the secret is known as the Secret Keeper. A dwelling whose location has been protected by this spell is then invisible, intangible, unplottable and soundproof.” (Source: Harry Potter Wiki) Yes, the tag contains a D, not a C, so we know this may be a stretch, but it would certainly fit the speculated story line. (Editor Brita thinks it could refer to Flamel and Dumbledore, but she admits she has no idea how that would tie into the game). As for P P, our theory is much stronger. Do you know of Phoebus Penrose? Professor Penrose made a report titled: “A Study into Muggle Suspicions About Magic.” According to Penrose, Muggles would notice and be aware of much more than the Wizarding World may think. The two initials, especially P P, which is certainly a more reliable finding, would clearly support our speculated story line for the game. While the concept of hackers doesn’t relate to the Wizarding World directly, the concept of CTF365 certainly does relate to our theory. Servers under attack? Defending servers? How does it relate to the teaser and our speculated story line for the game? 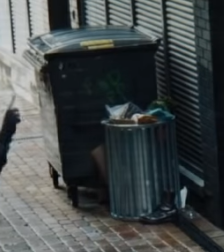 In the teaser, one could speculate that forces are trying to expose the Wizarding World through the hacking of security cameras (which is almost what we can actually understand from the teaser)! There are many other elements of this teaser that we are currently investigating such as the time stamp when the witch disappears, 15:11:19. This potentially refers to the release of the game. In the military system, 15 = 3, so one could read it as 03/11/19 hence March 11th, 2019! You can probably tell that we are pulling our hair off our head trying to figure out every little thing that we can from this teaser as we are incredibly excited about this game! What do you think of our findings? Are we crazy? Do they make sense? Do you think our speculated story line would be something fun to be a part of in a geo-location based game?Let us know below or join our Discord server to be a part of the discussion!